This hotel enjoys an ideal location on the outskirts of the Mozart city of Salzburg and is only 2 kilometres away from the centre. Easy access to all sights. 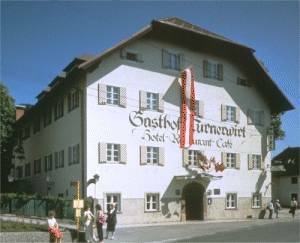 The Hotel Turnerwirt is a family-owned enterprice on the outskirts of Mozart´s City (2000 meters from the Centre). In this reservationsystem the 'Hotel' offers Youth-twin-rooms + youth-double-rooms + 3 + 4-beded rooms, most of this rooms are on 3rd floor. Standardrooms not available in this system ! All rooms, equipped with Shower/WC, Telephone, Sat-TV (22 Channels), W-Lan.
! There are no elevators in the buildings !
! Free Wifi in all rooms + free Internetpoints !
! Some of the rooms are non-smoking-rooms ! Bus stop to Centre ( Bus 4 ) and Station ( Bus 23 )direct in front of the Hotel. Free parking at Hotel for 60 cars and busses. 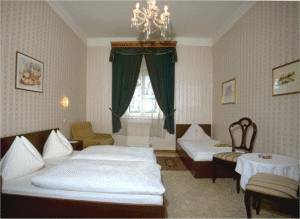 Youth-twin-rooms, youth-double-rooms, triple-rooms, quatruple-rooms. Most of the rooms are on 3rd floor. No elevators. Shower/WC/telephone/TV in all rooms. Close to the hotel there are shops, restaurants, bars. childrenplayground. 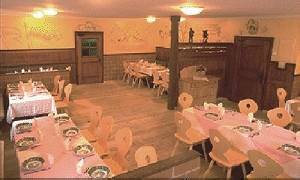 Typical Austrian Restaurant good priced. 10 min. walking. Free cancellation till latest 1 days prior of your arrival-date. For later cancellation or no show the 1st night will be charged. Hotel open till 22:30. If you want to arrive later then please phone the Hotel before 22:30 to confirm new arrival-time and to get information how to enter the Hotel after 22:30 ! Situated 2 km away from the centre of Salzburg, the hotel's position allows easy access to the motorway and the sights in and around Salzburg. Close to the hotel there are bars, restaurants and shops. Bus 4 to center every 10 minutes.